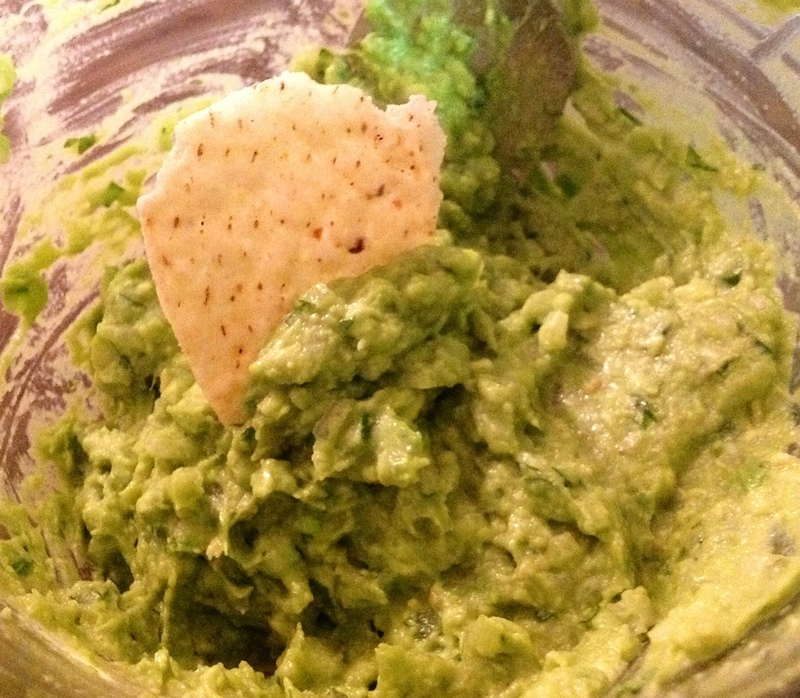 I used to hate guacamole. It wasn’t until I was pregnant with my now-9-year-old that I even had a taste for it (and sour cream) at all. In the last few years, though, I’ve come to love it. I tried making it a few times before, using packets of seasoning mix I had found at Wal-Mart. It was okay, but nothing to really brag about. I generally liked the packaged (Wholly Guacamole and ALDI’s brand) kind better. Since avocados can be a little on the pricey side, I thought I’d rather eat some good pre-made guacamole than mediocre homemade stuff. Until I watched the waiters at Cristina’s Mexican Restaurant make it at our table. That’s some of the best guacamole I’ve ever eaten! We ordered their table-side guacamole a few more times, and I studied their method and ingredients. It costs $3 more than just ordering it from the kitchen, but I chalked it up to educational costs. 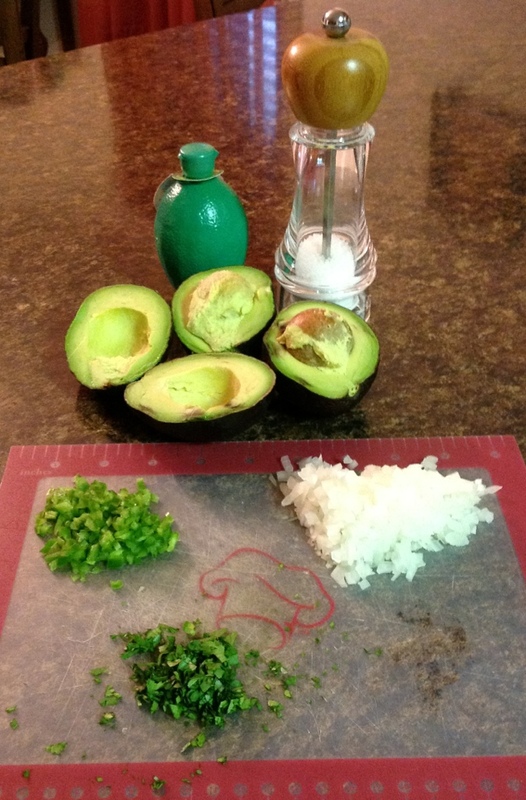 In a small bowl, combine salt and lime juice. 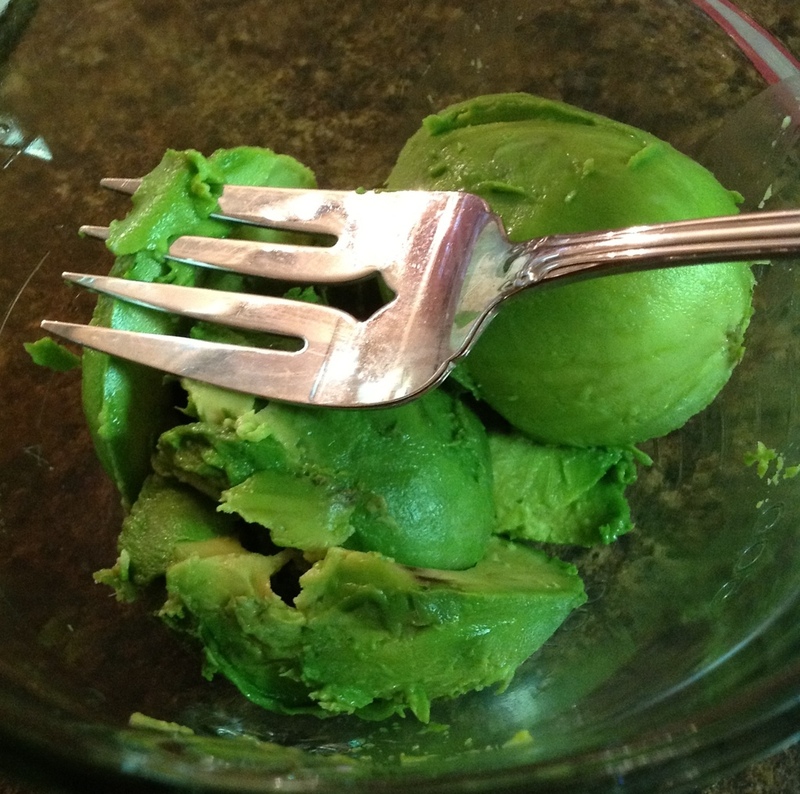 Scoop out avocado into bowl and mash with fork until desired consistency is reached. Add jalapeño, onion, and cilantro, mixing well.